Our rates range from $149 - $199. Please call us at 847-426-7777 for more details. Deluxe accommodations in large suite of rooms decorated in plush green velvet with gold fabric treatments fit for a king. 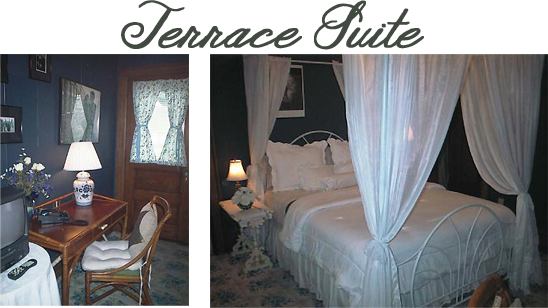 Large king bed on raised platform, oversized marble jaccuzzi tub for two and private bath. 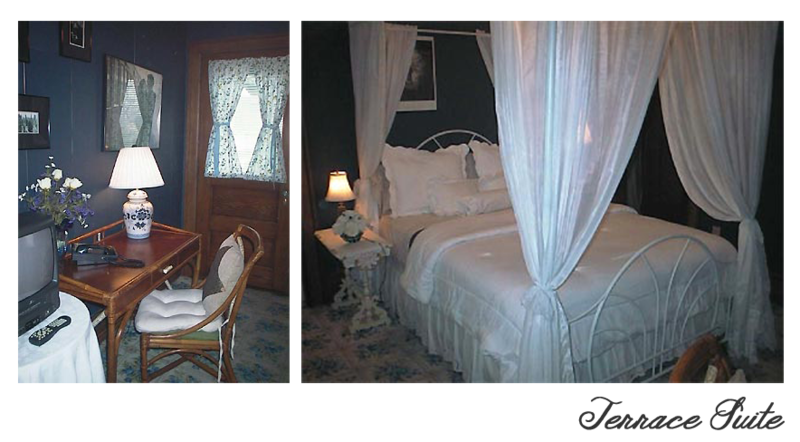 Relax on the private terrace sitting room or your in-room whirlpool tub for two in this romantic room with queen canopy bed. 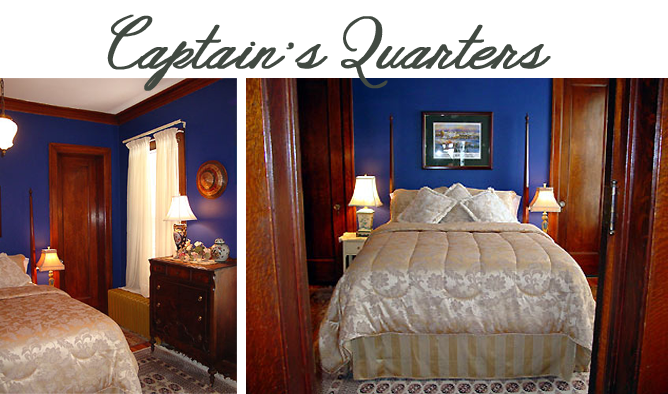 Beautifully decorated spacious room with king size bed, electric mood fireplace, with private whirlpool tub for two across the hall. 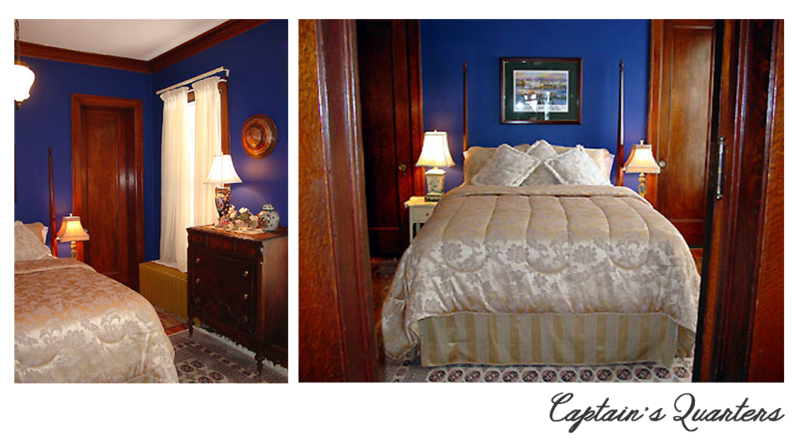 Cozy room with queen bed and your private in-room bath with whirlpool tub. Check in at 4 p.m. check out at 11 a.m. Room rates are for single or double occupancy. Smoking permitted outdoors only. Advance deposit of one night stay or credit card is required for all reservations. Master Card, Visa, Amex. and Discover accepted. Refunds subject to reservation policy. Rates subject to change. Special rates available. Reservation policy -Cancellation with less than 10 days notice - no charge ONLY if room is subsequently rebooked. A non refundable $25 cancellation service fee is applied to all cancellations. Extended stay accomodations and corporate rates are available.